Triple Crown is named for its three attributes; flavor, productivity and vigor. 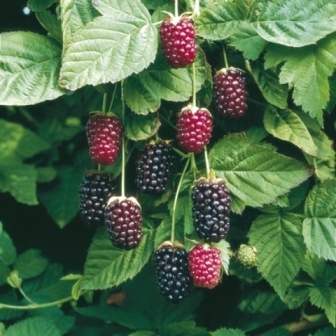 This very hardy variety offers two other attributes; disease resistance and very large berries. 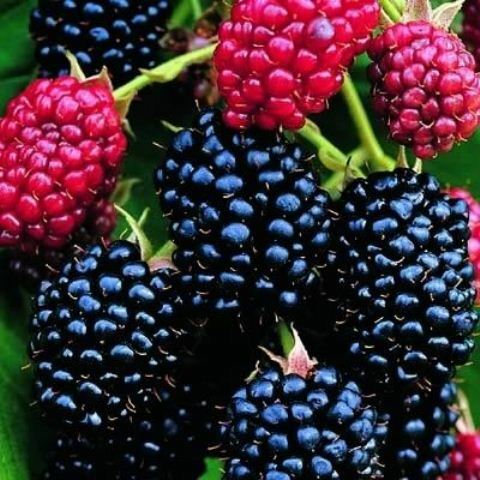 The thorn-less blackberry ripens for about one month from end of July through August. Semi-erect, the canes can be trellised or pruned in summer to an easy picking height of 42″. Does well on East and West Coasts. 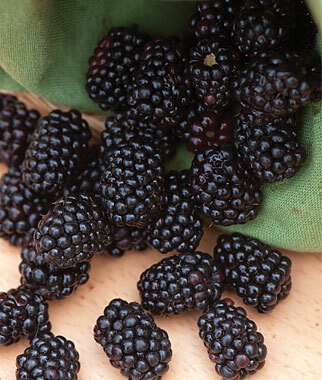 Triple Crown is a trailing Blackberry that will bear consistent huge fruit yields year after year. Fruits ripen to a juicy sweet flavor; over a 5-week period you can harvest and enjoy eating the large black beauties everyday for over 30 days. 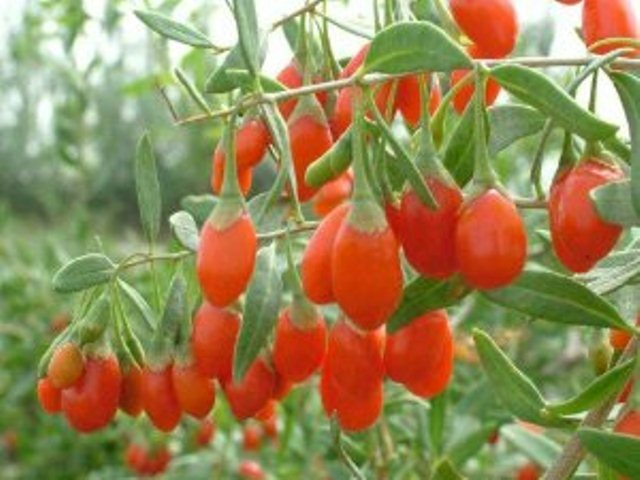 The plant is semi-erect and thornless and bears large, flavorful fruit. Strong canes can support many pounds of fruit without trellising. 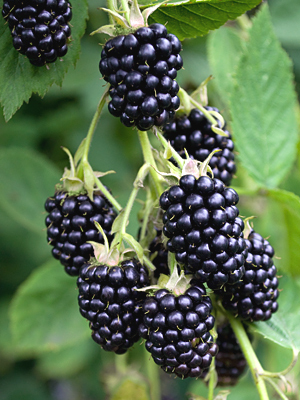 Triple Crown would be a good choice to help extend the blackberry season for home gardeners.